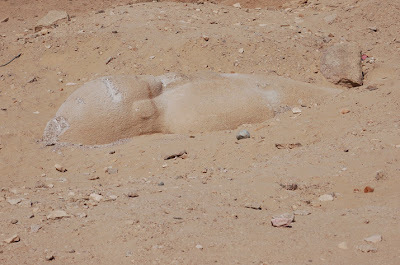 Dr. Zahi Hawass announced that the guards and the Egyptologists at the quarries of Aswan managed to abort an attempt to steal the red granite statue of Ramses II. The statue measures 6 meters tall, width vary between 100 cm to 175 cm and depth about 80 cm with a 160 tons weight on. The statue doesn’t have any inscriptions as it was not completely finished and still attached to the bed rock. 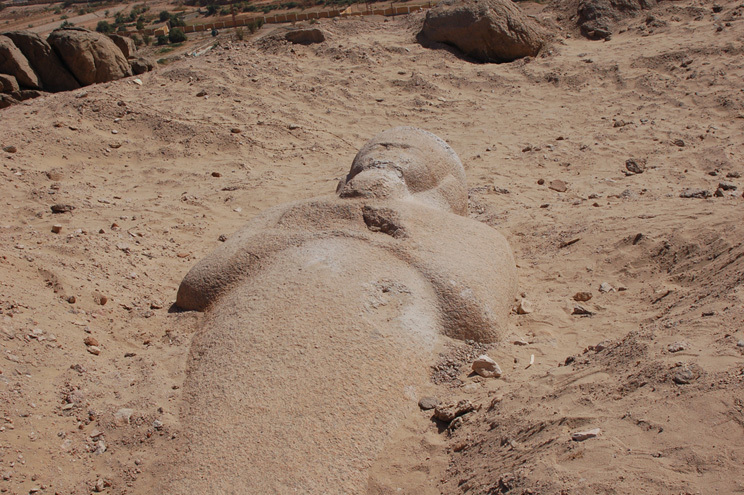 The thieves were stopped with digging and quarrying tools as they wanted to cut it out which would have meant smashing it but they were arrested and extradited to the Attorney General of Aswan where they are under ongoing questioning.